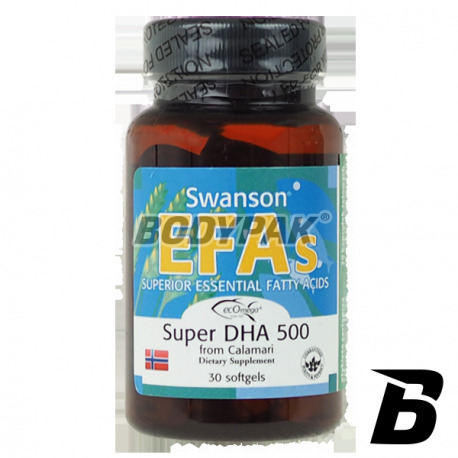 Health & BeautySwanson EFAs Super DHA 500 - 30 kaps. 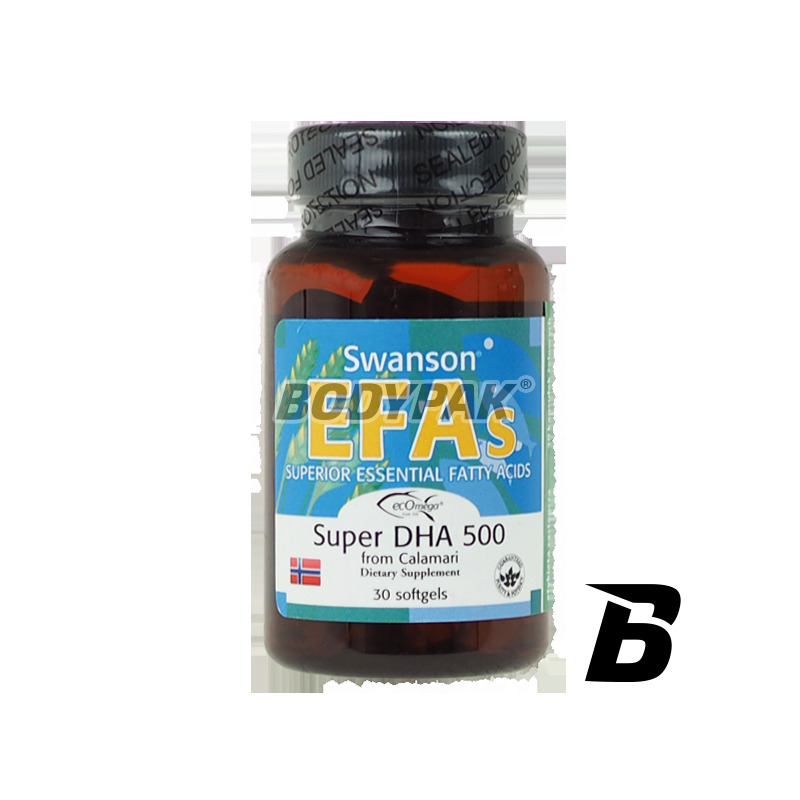 Swanson EFAs Super DHA 500 - 30 kaps. Super DHA - is seen as the most important fatty acid omega-3 involved in the construction and functioning of the human body. Swanson EFAs Super DHA - Fish oil from the production of fish meal in Chile and Peru was and still is the main source of supplements containing omega-3. Most of the supplements from this source is higher in eicosapentaenoic acid (EPA) than in docosahexenoic acid (DHA). On the other hand, populations consuming large amounts of seafood intake of DHA is almost twice as high intake of EPA. DHA is the predominant omega-3 in salmon, tuna, Kalmar and other seafood. The reason why DHA occurs frequently in nature, especially in relation to human health, it becomes clear during the analysis of individual cells in the human body. In many important examples of tissues and multiple organ in the human body, the level of DHA is significantly higher than the level of EPA. Our brain and eyes almost completely rely on DHA, since it is the building block and is responsible for their proper functioning. Składniki: Olej z morskich kałamarnic, substancja utrzymująca wilgoć: glicerol, oczyszczona (dejonizowana) woda, naturalny cytrynowy dodatek smakowy, mieszanka antyoksydantów [naturalne tokoferole (z soi), ekstrakt z rozmarynu, 6-palmitynian L-askorbylu]. Health-promoting formulation based on natural extract of Agaricus Blazei high standardization. It is a rich source of beta-glucan and Vitamin D (ergosterol), strengthening the immune system functions. Convenient supplementation with easy-to-swallow capsules!